Something makes sense about keeping things simple on Sundays. Wouldn’t you agree? 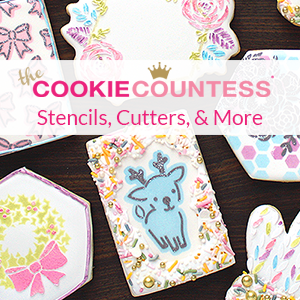 These cookies might look like a lot of work, but really they aren’t. Rather than kill myself trying to take action shots, I kept things simple and made a sweet little video instead. 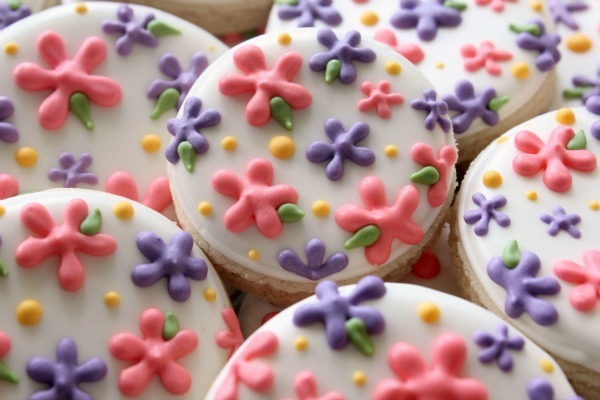 This is the technique I used to make the flowers on these cake stand cookies. 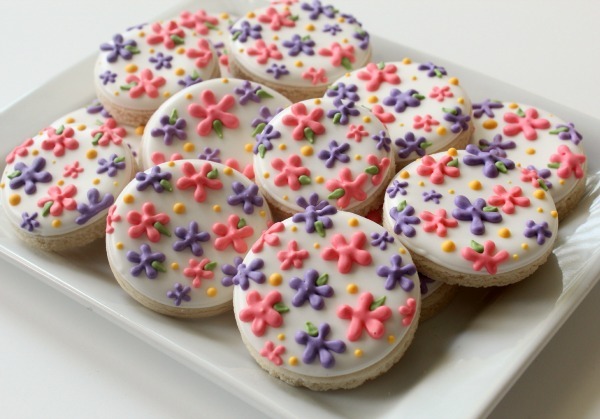 You can also pipe flowers directly onto wax paper and use them as royal icing lay-ons like I did for these baby face cookies. Sometimes I like to pipe them directly onto simple round cookies. Regardless of how you use them they’re a great little item to have in your repertoire because like I said…simple is good. Thank you! Love the video it’s great be able to watch you in action! You are amazing! You should have a tv show, thank you! 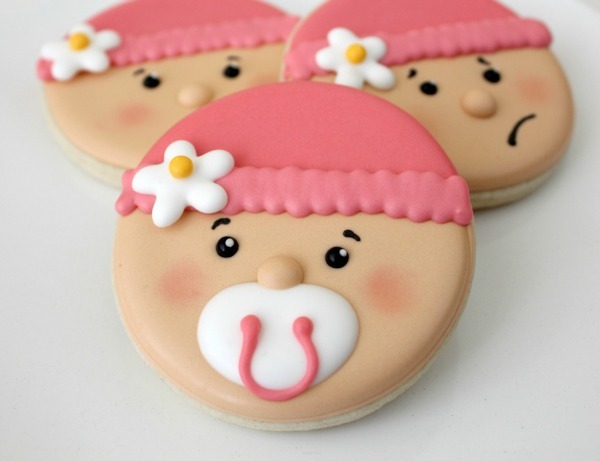 I love the baby face cookies. What a precious work. Thank you for this fantastic video. I love your videos 🙂 These are such sweet little flowers! 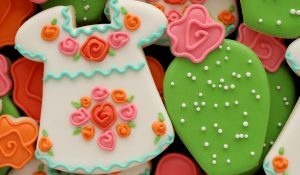 Love love your cookies…I am not quite so talented with the icing, but I am a great baker. 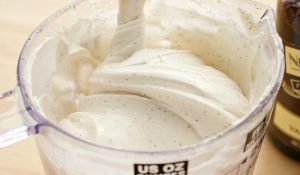 I need to look at your tips and get serious about the icing. Your work is absolutely beautiful. I love it! I am going to add you to my blog roll. Have a great day. Those cookies are so so cute! I plan on making them soon, I just can’t resist! Simple is good. Yes! 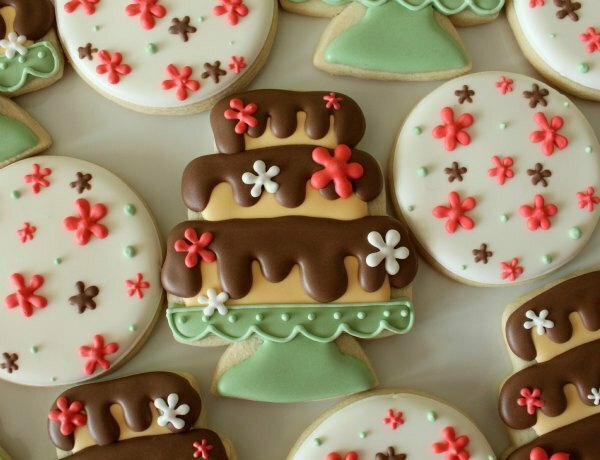 But I wish I wasn’t so simple minded when it comes to decorating cookies cuz Callye you are like freakin’ flippin’ fabulousin’ (new word) when it comes to cookies! You are a cookie genius ! I do fall in love with every new cookie you make. Checking your blog daily is a great pleasure. And i do appreciate a lot your SHARING generousity. And how cute are these flowers. Thank you so much for your sharing & good personality ! Thanks so much for this! Sometimes simple is so much better. We all appriciate your tips and tricks so much. Have a great day! Oooh, I especially love the shape of the flowers you made on the baby bonnets! very cute!! Thank you so very much for the tutorial. Your idea is GREAT and came right on time when I wanted to add a flower to a wedding dress cookie that I was making for my cousin’s Bridal Shower. Thank you! Thank you! Thank you!!!! Thank you so so much for this post! I remember asking about it in the original cookie post but there was no response, so I thought perhaps you didn’t see it. 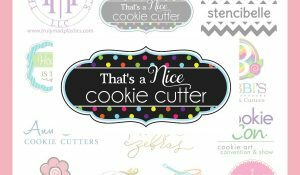 This is so much help for a newbie to cookie decorating like me…you probably get this a lot but your blog is just so inspiring! those are awesome, thank you for the vid! BTW, thank you for the video. It helps. Lovely! Your videos are awesome. Keep them coming! Hi I love your cookies and the adorable flowers. However, the video does not work. Says it does not exist. 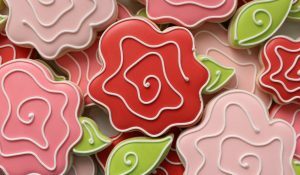 how do you make the pipe simple flowers on cookies, like after the cookie is cooked what are the directions on how to make it?